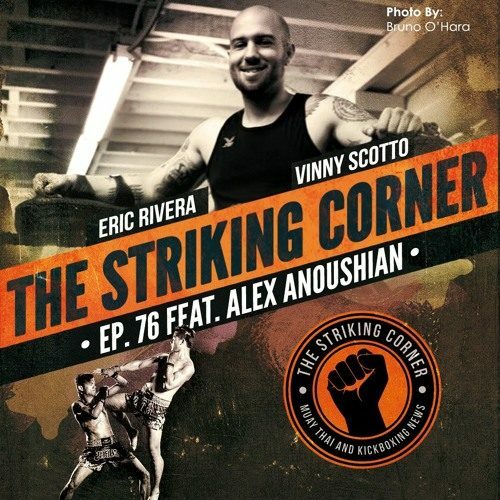 In this episode of The Striking Corner podcast Eric and Vinny speak with Head Coach of Bang Muay Thai at Onnit Gym in Austin, Texas; Alex Anoushian. Alex is an experienced coach who has trained and fought in Thailand on multiple occasions. We discuss how he chose to leave it all behind and travel to Thailand to pursue his passion for Muay Thai, and how his journey to Thailand eventually led him to meet his wife and start a family. We discuss his return to the US, the Bang Muay Thai system, traditional Muay Thai and how it can continue growing in the US, and much more! Enjoy! 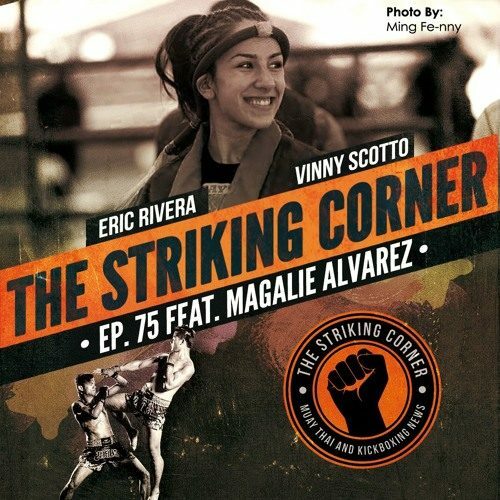 In this episode of The Striking Corner podcast, Eric & Vinny speak with Professional Muay Thai fighter Magalie Alvarez. Magalie fights out of Muay Thai America Gym (MTAG) in North Hollywood, California and was undefeated as an amateur before making the jump to pro Muay Thai. In the ring, Magalie is a firecracker who works non-stop and hits HARD! Outside of the ring, Magalie works as a personal trainer but has also begun using her voice to address mental health issues such as anxiety and depression. A fighter both in and out of the ring, Magalie is using her voice to talk about her own battle with mental health while encouraging others to not be ashamed to share their stories. This is a podcast we were very proud to make as Eric has also battled with mental health issues and believes that speaking up about them is important in helping others know that they are not alone and that there is help. One of our favorite podcasts to date where we talk Muay Thai, Mental Health, Social Media, and just have a few laughs. We truly hope you all enjoy! 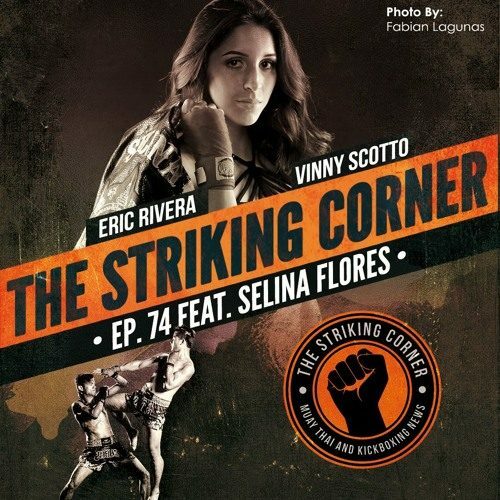 In this episode of The Striking Corner Podcast, Vinny & Eric speak with San Diego’s Selina Flores. A talented Muay Thai fighter that has quickly made a name for herself in the California Muay Thai scene, Selina recently competed as part of Team USA at the IFMA Muaythai World Championships where she fought in the Elite A Class looking to compete with the very best the sport has to offer. Selina is competitive, driven, and hungry. She and the guys talk California Muay Thai, takeaways from her experiences at IFMA, the amateur and pro debate, and how she is determined to bring home the gold from IFMA in 2019. 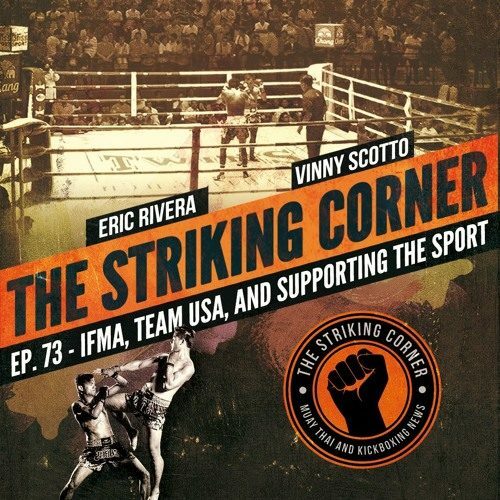 Also in this episode, Vinny makes a controversial statement about Tacos, talks about NY water and why it is the best, and of course our new brand Striking Professional. Listen, learn, laugh, enjoy! 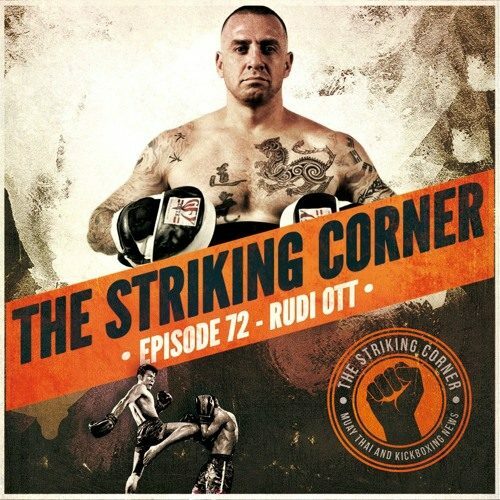 In this episode of The Striking Corner, Eric and Vinny speak with former professional fighter, coach, and Smash Gym owner Rudi Ott. Rudi started out his career in Sanshou, also known as Chinese Kickboxing, which is the same fighting discipline that both Eric and Vinny started in before making the transition to Muay Thai. Rudi talks about the old Sanshou scene in his native Boston, how he made his way out west and began training with Cung Le, his career in Sanshou, making the transition to Muay Thai, and much more. We had a great chat with one of the OG’s in the Sanshou scene and now a highly respected coach in the U.S. Enjoy!